Final update on this story (Saturday 10:00 a.m.): The Austin Police Department and the Texas Department of Public Safety say this Amber Alert has been canceled. They say two-year-old Cheyenne Johnson is now safe and the suspect, Jesse Thomas, is in custody after a standoff with authorities in northwest Harris County. UPDATE (10:00 p.m.): An Amber Alert has now been issued for Cheyenne Johnson. Anyone who may have information about this abduction is asked to call the Austin Police Department at (512) 297-0825 or 9-1-1. Austin police are asking for help from the public in locating a child who was last seen at 1:54 Friday afternoon on the 1800 block of Anita Drive in South Austin. 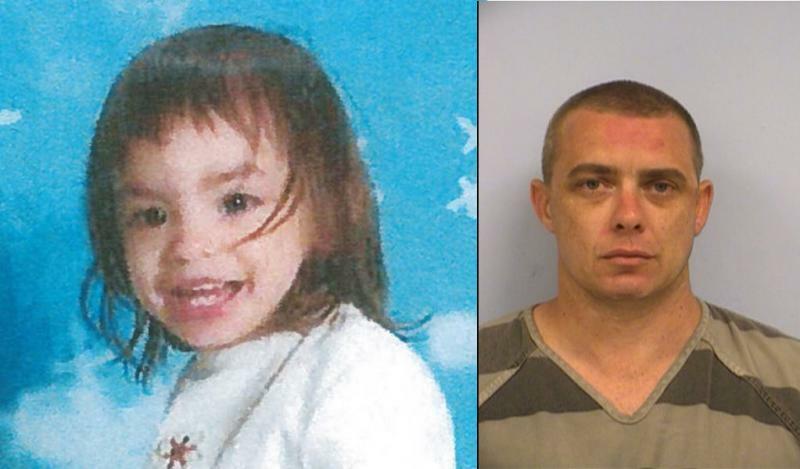 Two-year-old Cheyenne Johnson is about two-and-a-half feet tall, weighs 25 pounds and has brown hair and brown eyes. She was wearing a navy blue shirt with flowers on it and navy blue shorts. She was last seen with 33-year-old Jesse Thomas, 6'01", about 220 pounds. Thomas was last seen wearing a gray t-shirt and blue jean shorts. He was driving a black 2005 Mercury Marquis 4-door with Texas license plate DN3F648. The vehicle has 22-inch silver rims and damage to the rear bumper. They left the scene northbound on Anita Drive. Police say Thomas’ parental rights have been relinquished. He is considered dangerous and should not be approached. If you see Cheyenne or Thomas, please call 911.